It's now 93 days until the kickoff of Catamount football on Labor Day Weekend, Saturday, September 1, 2018, against the Newberry College Wolves, in Cullowhee. For the season kick-off, the Cats will host a "White Out" game in E.J. Whitmire Stadium as the Cats will sport its all-white look with white Adidas jerseys over white pants and for a fourth-straight year, postgame fireworks extravaganza follows the home-opener. Prior to Western Carolina: Prior to Western Carolina: Played offensive line at center and defensive tackle at R-S Central High ... Was a two-time All-South Mountain Athletic Conference selection as a junior and senior ... Recorded 94 tackles including 29 solo stops as a senior ... Selected to the Diamond Sports Group Youth All-America Bowl ... Awarded the varsity "Best Blocker" award in 2014 ... Also played baseball, basketball and wrestled as a prep, posting a 25-9 record as a senior where he was a 2-A Area and State Champion at 285. Personal: Is the son of Patsy Brooks Brock and Kevin and Tonja Brock. It's now 94 days until the kickoff of Catamount football on Labor Day Weekend, Saturday, September 1, 2018, against the Newberry College Wolves, in Cullowhee. 2016 (Freshman): Played in nine of the team's 11 games with a pair of starts ... Made his collegiate debut in the season-opener at East Carolina (Sept. 3) with his first career start coming in week two against Gardner-Webb (Sept. 10) ... Recorded 21 tackles including seven solo stops and 2.5 tackles for loss including a sack against ETSU (Sept. 17) at the Bristol Motor Speedway ... Posted a career-high five tackles with four stops against ETSU ... Tallied a quarterback hurry against Gardner-Webb (Sept. 10) and blocked a kick against VMI (Nov. 5) ... Credited with a tackle in WCU's annual Spring Game ... Named to the 2016-17 Southern Conference Academic Honor Roll. It's now 95 days until the kickoff of Catamount football on Labor Day Weekend, Saturday, September 1, 2018, against the Newberry College Wolves, in Cullowhee. It's now 96 days until the kickoff of Catamount football on Labor Day Weekend, Saturday, September 1, 2018, against the Newberry College Wolves, in Cullowhee. For the season kick-off, the Cats will host a "White Out" game in E.J. Whitmire Stadium / Bob Waters Field as the Cats will sport its all-white look with white Adidas jerseys over white pants and for a fourth-straight year, postgame fireworks extravaganza follows the home-opener. John Wiley, a former longtime assistant coach at Appalachian State, was tagged as the next defensive coordinator by Western Carolina head football coach, Mark Speir, in December 2016. Wiley brings over 30 years of coaching experience at a variety of levels to the Catamount football program. Speir worked with Wiley at App State from 2003-09, five of those seasons on the defensive side of the football. During his six seasons as the associate head and linebackers coach at East Carolina, Wiley was a part of helping guide the Pirates to four bowl game appearances and helped transform ECU's defense into one of the nation's top 40 units in two of his final three years. He was instrumental in producing six all-conference players including three first-team selections, a Freshman All-American, and a conference freshman of the year. Wiley also tutored Zeek Bigger and Brandon Williams, who was named the American Athletic Conference's top linebacker duo in 2014 when they combined for 264 tackles. Bigger led the league with 140 stops and Williams finished with 124 as both players were named to the All-AAC teams. Five players who Wiley coached at ASU went on to be selected in the NFL Draft including Keith Collins (1990, San Diego Chargers), Gary Dandridge (1992, Seattle Seahawks), Matt Stevens (1996, Buffalo Bills), Corey Hall (2001, Atlanta Falcons), and Corey Lynch (2008, Cincinnati Bengals). Lynch also set the school's career records with 31 interceptions and 52 passes defended under his tutelage. In 2008, Mark LeGree earned Consensus All-Southern Conference honors after breaking a 35 year-old record and tied the SoCon single-season record with 10 interceptions as a sophomore first-year starter. LeGree was later drafted by Seattle in 2011. Wiley's App State defenses also led the league in total defense in 2000 and 2006 and produced six Mountaineers who were named the SoCon Defensive Player of the Year eight times. They were Dexter Coakley (1994-96), Josh Jefferies (2002), K.T. Stovall (2003), Marques Murrell (2006), Lynch (2007) and Jacque Roman (2008). Coakley was later drafted in the third round in 1997 by the Dallas Cowboys and is one of just four Mountaineers to have their number retired in Boone. Wiley is married to the former Kelly Ponder of Raleigh, N.C., who has a national championship of her own. She was a four-year member of the Appalachian State cheerleading squad and was a part of the Mountaineer's 1989 UCA national championship team. The couple has three children -- daughter Megan and sons Jaxon and Lucas. It's now 97 days until the kickoff of Catamount football on Labor Day Weekend, Saturday, September 1, 2018, against the Newberry College Wolves, in Cullowhee. Check out highlights of @WCUCatamountBSB's historic win over UNCG! 2016 (Freshman): Did not see game action ... Redshirted ... Credited with a tackle in WCU's annual Spring Game. High school coach was Scott Miller. Today we kick off the eighth annual Catamount Football "100 days to Football Kickoff Countdown" on the Catamount Sports Forum and Purple & Gold. We hope you have enjoyed the countdown in past years, as much as we do bring it to you. During the countdown, we'll highlight the player whose number corresponds to that day in the countdown. Since the official 2018 Catamount Football roster has not yet been published, we'll use the 2018 Spring Roster for personnel numbers, until the new roster is posted at which point we'll switch to the official roster for the remainder of the countdown. In past seasons, some players changed numbers from the spring roster to the official roster, so a player may appear more than once in the countdown. As is our custom, since there is not a player assigned the #100, here's the traditional head coaches' posting. To help pass those long summer days, and hopefully get the Catamount faithful more excited about the upcoming season, we'll continue the 100-day football countdown each day until kickoff day. 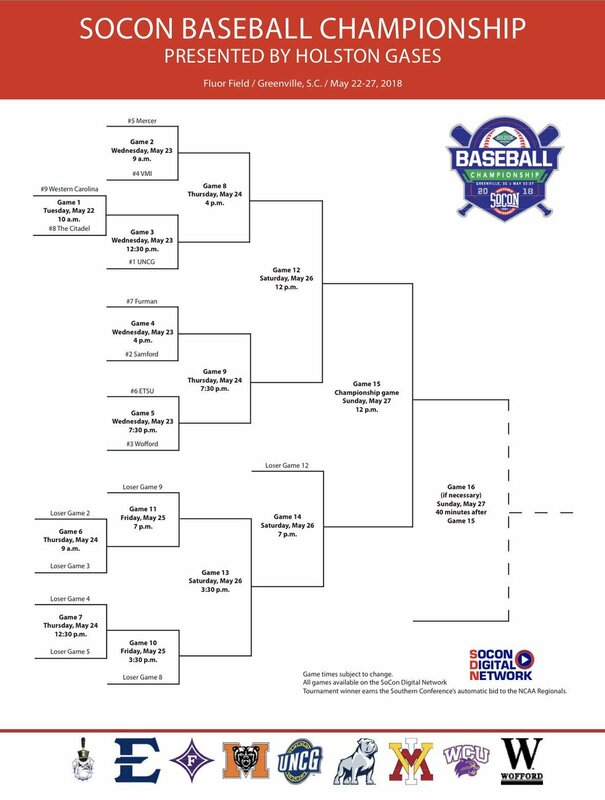 Check out highlights of WCU Catamount's win over UNCG in our second #SoConBB game of the day! Senior Spencer Holcomb headlines four named postseason All-SoCon today, earning a second-team nod; Justice Bigbie, Will Prater, & Chase Walter all land on the SoCon All-Freshman Team. 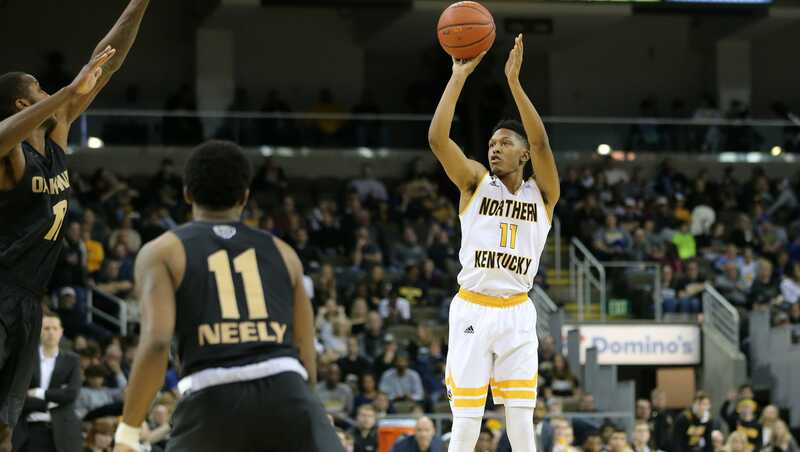 Last month Mason Faulkner announced his intention to transfer from Northern Kentucky University, on Sunday, he announced his commitment to Western Carolina University. Faulkner will have two years of eligibility for the Cats, after sitting out the 2018-19 season due to NCAA transfer rules.